There are a lot of great ways to show you care about someone. Writing a heartfelt letter, going out of your way to make a difference, or just simply saying your true feelings are all great, efficient ways of expressing how much someone means to you. But of course, these options aren’t for everyone. For the rest of us, there is always an overly expensive gift. Sometimes, nothing says it better than an extraordinary gesture. And what gesture is more extraordinary than signing a gigantic check? In this writer’s opinion, that’s why there are still watches out there that cost as much as a small island. After all, everybody uses their cell-phones to tell what time it is anyway. Luxury watches have become a symbol, a sign of importance and class, as well as a fantastic fashion accessory that can single-handedly (no pun intended) highlight an entire outfit. For those looking for a timepiece as the means for that extraordinary gesture, may we recommend the Chopard Secret? This epic timepiece features a square diamond dial and frame set inside a case made entirely of diamonds, totaling 19 carats. With a satin strap and a baguette-cut diamond clasp, the Chopard Secret is by far one of the most incredible, eye-catching luxury watches on the planet. And it costs just over half-a-million dollars. And by “just over,” we mean an additional eight thousand. 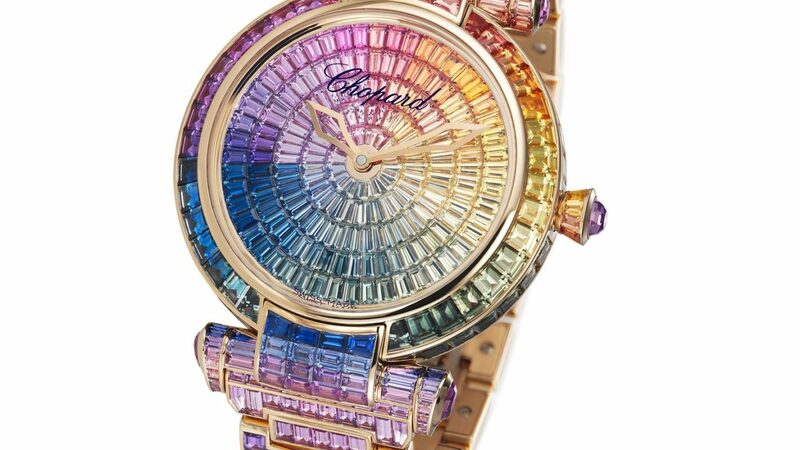 That’s right, to give someone the gift of the Chopard Secret, one has to shell out $508,000, which was good enough to put it as the #19 most expensive watch of 2010. This writer doesn’t know what’s more concerning: the fact that the Chopard Secret costs over half-a-million dollars or the fact that even that wasn’t enough to put it at the top of the list. Really, there are eighteen watches MORE expensive than the Chopard Secret? Really? That being said, if you really have hundreds-of-thousands of dollars to spend on one item, we’d recommend you show some generosity. Find a company that buys its watches through authorized dealers and distributors, so that they can offer brand-name watches at reasonable prices… and donate the other five-hundred-thousand dollars you were planning to spend to a charity of your gift-recipients choice. You can even do it in honor of the loved one. It may make a better gift for both of you.